For the Federation, I will give my life! 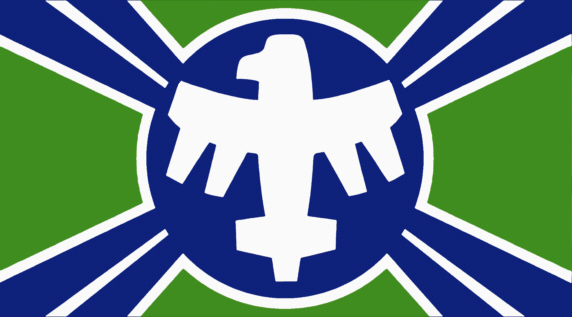 The United Citizen Federation, also referred to as the Terran Federation, is the unified government of Earth, all inhabited Sol System planets as well as its associated colonies, territories and outposts. The Federation is a veteran-led, republic-style parliamentary system of government based in Geneva, Switzerland and ruled by the authority of the Federal Council in all matters except those directly related to the military. All Federal Council members are selected from the pool of national governors within each star system under the jurisdiction of the Federation. Each Council member is able to cast a single vote pertaining to all matters directly affecting the Federation. Every government position within the Federation (from the most junior member of a Council member's staff to the Council members themselves) can only be filled by a Citizen. Civilians are unable to apply for any government position given that they have not yet proven they will keep the interests of the Federation first and foremost within their heart, defending them with their life if necessary. Citizenship (or franchise) is earned by civilians primarily through a voluntary term of service with the Federal Service of no less than two years (including swearing an oath to that effect). Direct control of the main branches of the Federal Armed Services are placed under singular command of a Sky Marshal during periods of declared war. The current Commander in Chief of the Federal Armed Services (the military arm of the United Citizen Federation) is Sky Marshal Omar Anoke. The United Citizens’ Federation was forged in the ﬁres of the Disorders, a time of violence and horror such as Earth had never known before, nor has it known since. The basic facts of Federation history are well known to most citizens and civilians in the Federation, lessons learned during the History and Moral Philosophy class almost every civilian youth takes as a required part of any public education. Unfortunately, teachers of History and Moral Philosophy have only one year in which to educate their students, to instill in them the sense of rightness and clarity of vision which are hallmarks of the Federation. Thus, sometimes these teachers must omit or skim over facts which, while not absolutely required for the course material, are nonetheless germane to any signiﬁcant discussion of Federation history. With this in mind, the Citizens’ Federation opens with an extensive discussion of the history of the Federation, to cover any aspects of that history which might have been neglected in the regular coursework. At the end of 20th century, national governments of the world collapse because of so-called unlimited democracies. These "unlimited democracies" are the fraudulent Marxian definition of value from which "Communism derives" and civil unrest due to a "pre-scientific pseudo-professional class" who called themselves Social Workers and Child Psychologists banning Corporal Punishment. In 1987 there is war between the Russo - Anglo - American Alliance and the Chinese Hegemony. Shortly before the war's end, a group of intellectuals perform a coup d'état in an attempt at creating a utopia. This incident later came to be known as the Revolt of the Scientists. . At the end of the war the Treaty of New Delhi was signed. This treaty freed prisoners captured by the Russo-Anglo-American Alliance. However left approximately 65,000 civilians (Japanese, Filipino and Russian) and 2 divisions of British Paratroopers in Chinese incarceration to be sentenced for political crimes, forcing the abandoned prisoners to escape to gain freedom. It should also be noted that at the end of the 20th century, the North American Republic was brought down by raging illegal activity which took place all around the world, including Russia and the United Kingdom. Crime was at its peak for most of the second half of the 20th century, lasting up to the war between the Russo - Anglo - American Alliance and the Chinese Hegemony. After the collapse of national governments, a group of veterans in Aberdeen, Scotland formed a vigilante group to stop rioting and looting. They hanged a few people (including 2 veterans) and decide to only allow veterans to join their committee due to a mistrust of politicians. This contingency plan became routine after a couple of generations, and this group of vigilantes was the start of the United Citizen Federation.